Some 25 miles south of Geneva, Switzerland, on the northern tip of Lake Annecy in the French Alps, lies the headquarters of Salomon, the sports company known for its trail running and climbing gear. 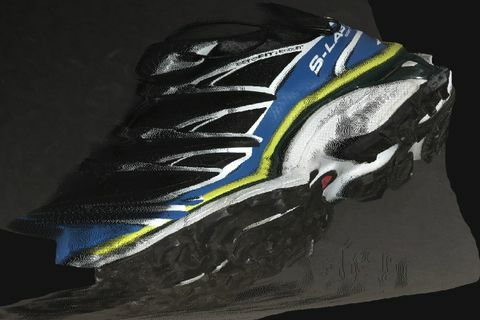 Here, a design team is working on a new performance shoe for Spanish mountain sports champion Kilian Jornet Burgada. In the French capital, 270 miles away, the same brand is presenting its debut sneaker collaboration with 2017 LVMH Prize-winning designer Marine Serre at Paris Fashion Week Fall/Winter 2018. 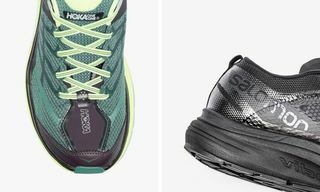 The performance element is present as ever, yet aesthetically, the knitted, all-white model branded with Serre’s signature crescent moon logo and adjusted TPU film eyelets is a stark contrast to Salomon’s core silhouettes. “Our biggest clients have always come from trail running. These were the guys we had in mind when we created product. Fashion wasn’t even considered. It was a no-go,” laughs Jean-Philippe Lalonde, lifestyle footwear program manager at Salomon, who joined the company from Arc’teryx in October 2016. Lalonde, together with a small design team, was quick to notice the opportunities the fashion industry could offer Salomon, both from a financial and an educational standpoint. “Innovation comes from many places, and we can’t be closed off from something that’s as important as fashion is now,” he says. 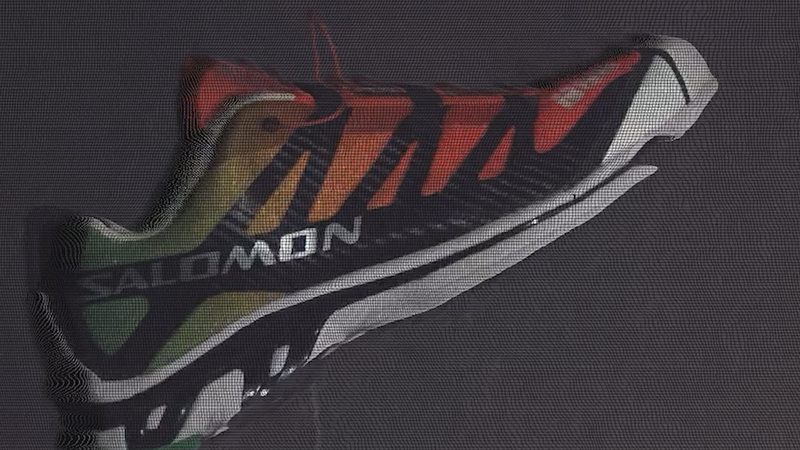 And Salomon isn’t alone in the race among sportswear brands to make performance wear attractive to the mainstream fashion crowd. 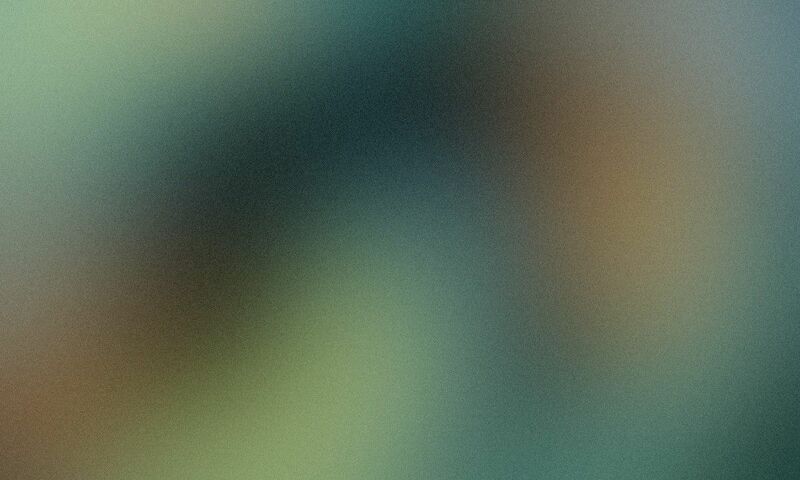 None of this is new. Sportswear labels have been partnering with big fashion names for more than two decades. 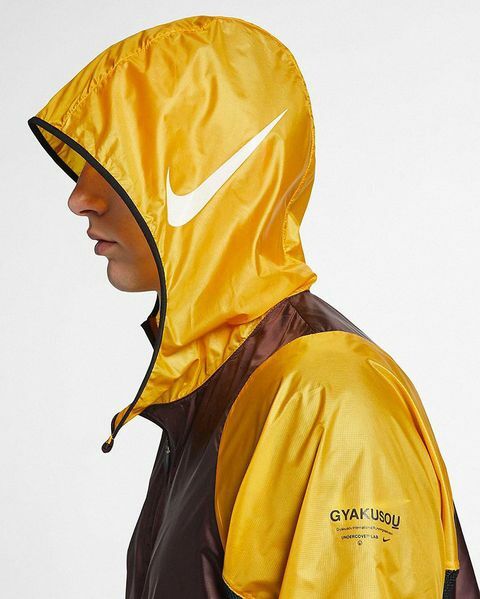 Nike has worked with Junya Watanabe and COMME des GARÇONS since 1999 and Jun Takahashi of UNDERCOVER since 2009, laying the groundwork for partnerships with Riccardo Tisci since 2014, Virgil Abloh, John Elliott, and A-COLD-WALL* since 2017, and Craig Green and sacai since 2018, to name a few. 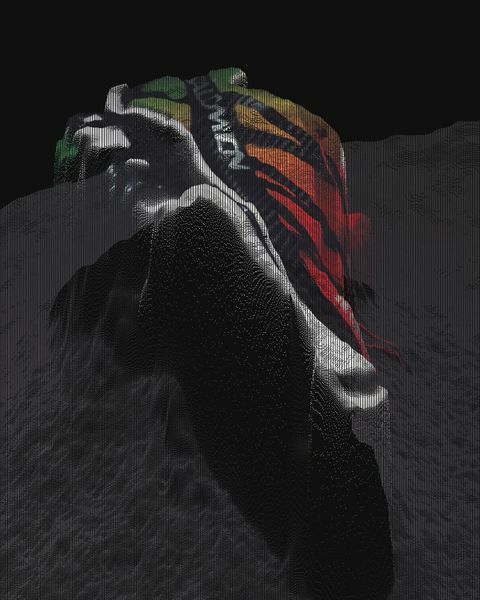 adidas has made designer partnerships, including those with Rick Owens, Raf Simons, and Alexander Wang, a core part of its fashion strategy for more than a decade, while one-offs such as PUMA x Jil Sander have been around since 1996, as well as PUMA x Alexander McQueen and Reebok x Chanel in 2005. The collaborations, however, happened under the sports brands’ lifestyle pillars, which for years were kept separate from the brands’ performance divisions as church is from state in secular countries. Not that fashion and performance haven’t crossed over before. Think of Nike and Takahashi’s Gyakusou line and the ACG (All Conditions Gear) collections of the ’80s and ’90s. Or adidas’ partnerships with Stella McCartney and Yohji Yamamoto’s Y-3 line, both of which were launched in the ’00s. 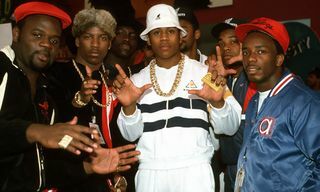 Still, sportswear giants continued to leave fashion in the background, prioritizing an item’s ability to perform before its cultural credibility. The product was for the gym, not the runway. It certainly has. Next to the increasing popularity of athleisure, rising sports participation rates and growing health awareness have contributed to the global sports apparel market growing to its biggest size ever, with market research firm Statista estimating it had generated about $174 billion in revenue in 2018. The sportswear category as a whole grew 7 to 8 percent compared with the previous year, outperforming non-sportswear apparel and footwear’s growth of 3 to 4 percent each. Today’s mainly younger consumers, who often see little distinction between performance and lifestyle products, are calling the shots, with sportswear companies now looking to marry two once distinct and distant categories to appeal to those consumers. 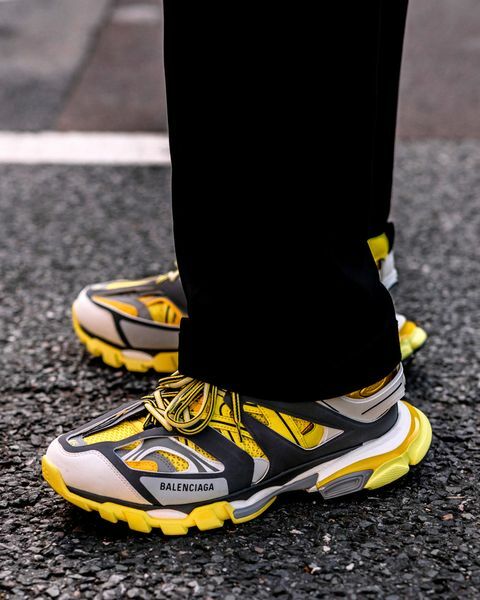 Luxury fashion brands such as Balenciaga, 1017 ALYX 9SM, and A-COLD-WALL* putting out trail sneakers, utility vests, and technical jerseys have added to the allure of performance wear for both fashion and sporting purposes. “Our customer is purchasing sportswear brands more and more, which has led to performance wear and sneakers becoming some of our most successful categories in the last few years,” says Federico Barassi, senior director of menswear buying at SSENSE, who says the surge in the category is in part due to the rise of wellness and self-care, as well as it becoming the uniform of a new generation. Barassi adds that the retailer’s buy of performance wear brands has increased anywhere between 75 and 250 percent season on season, depending on category. Cook says Browns has significantly increased its buy of high-performance wear due to its resonance with the customer and resulting impact on sales, with a lift since last year of almost 150 percent across buys in ready-to-wear and footwear categories combined. Brands such as Salomon, Arc’teryx, HOKA ONE ONE, Satisfy, and the eyewear of motocross label 100% are selling so well, he says, that next month Browns is launching a dedicated high-performance destination on its website accompanied by a campaign titled “Run and Ride,” an installation at Browns East, and weekly activations with labels such as Pas Normal Studios, Soar, and Satisfy. Brands with performance at their core are now adopting luxury fashion more than ever to grow their businesses financially and connect with new customers, making pure performance products that resonate with everyday shoppers. At Salomon, under Lalonde’s strategic leadership, collaborations with German menswear designer Boris Bidjan Saberi and popular multi-brand boutique The Broken Arm were renewed for multiple seasons. More recently, models with Satisfy and District Vision were launched. 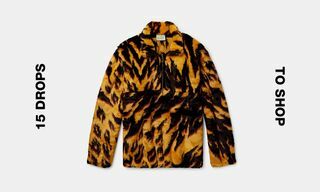 Meanwhile, in-house product has been made more refined in terms of materials and colorways, with the distribution strategy rethought and now including high-end retailers such as Dover Street Market, SSENSE, and Browns. Prices have increased slightly, too, all to appeal to a new, more fashionable audience. “Two years back, there was no chance anyone in the company would have put a wager on what’s happening today,” says Lalonde. In 2018, net sales for Salomon’s parent company Amer Sports, which also owns Arc’teryx, Peak Performance, and tennis equipment brand Wilson, reached €1.7 billion (approximately $1.9 billion) for its outdoor category alone. It was the ninth consecutive year of growth for the company. 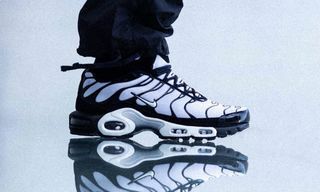 Nike, the world’s biggest sportswear company, has made big moves in fashion, betting on collaborators as a way to become the dominant force in the market. In 2018, it released football collections with Dior’s Kim Jones and Louis Vuitton’s Virgil Abloh, followed by a range of tracksuits with Martine Rose and AMBUSH co-founder Yoon Ahn. Abloh also designed a Nike tennis jacket, dress, and sneakers for Serena Williams to wear at the US Open. 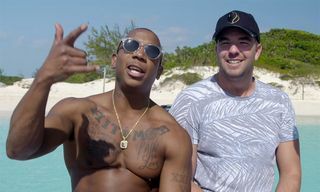 Its biggest move into designer performance wear came in May 2018, when it announced a long-term partnership with 1017 ALYX 9SM founder Matthew Williams, housed under Nike’s Training division and marking one of its first major collaborations with a fashion designer on serious sports gear. 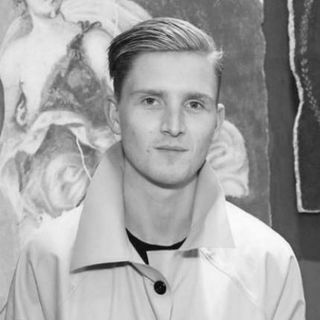 Jeremy de Maillard, global vice president of adidas’ Statement business unit, oversees all designer, artist, brand, and retailer collaborations for the German brand. “Throughout the years, the connection between performance and lifestyle has grown from strength to strength, with the lines between fashion and sports blurring more and more, challenging us to constantly evolve our thinking and way of working together,” he explains. Last year, adidas’ running and training categories saw double-digit sales growth compared with the year before. “One of the key strategic choices is open-source, and this enabled us to look outside and connect with some amazing partners who helped us think differently about ourselves and further open our minds about what we can achieve as a brand,” de Maillard says. He tells us a new line with Berlin label 032c, which debuted in London in November 2018, is set to launch later this year, as well as collaborations with a number of new partners. “The fact we can inject sport into culture and culture into sport in an unexpected yet relevant way, like Palace Skateboards on the courts of Wimbledon or BAPE in the NFL, is about us challenging the status quo together and seeing where we can take one another,” de Maillard adds. Then there are sports labels such as Japanese footwear brands ASICS and Mizuno gaining fresh relevance through partnerships with fashion brands and designers that have strong communities of their own. 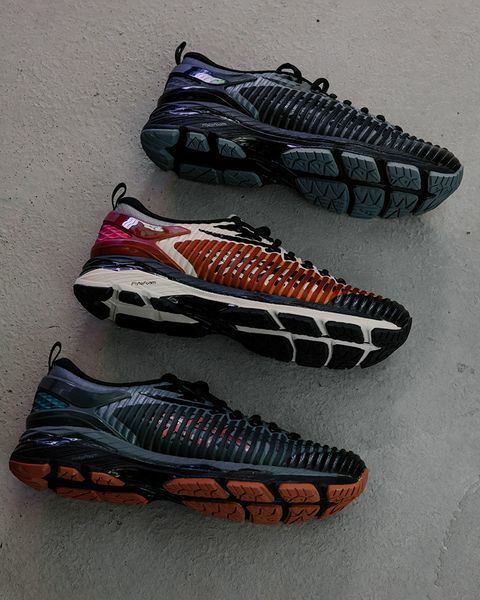 ASICS has worked with Kiko Kostadinov, GmbH, Vivienne Westwood, and Harmony Paris, while Mizuno has partnered with BEAMS, Patta, and Margaret Howell. This has been combined with the release of strong in-house products and a more focused marketing and seeding strategy. While the market is slowly becoming saturated, demand for fashionable performance wear continues to outpace supply, meaning we’re only scratching the surface at the intersection of sports and lifestyle. To stay relevant, however, sportswear brands have to approach the performance category as they do their lifestyle divisions, especially when the crossover of the two is more present than ever. The current model does have its limitations, however. Powell argues that brands are limiting the quantity of collaborative stock too much, making collaborations more about branding than sales. He believes those innovative enough can achieve both. Venturing more into apparel is just one of many solutions. For further reading about the state of the industry, take a deep dive on the future of sneaker reselling and download our first-ever whitepaper on the new luxury consumer.